“The most important thing is that people have appreciated the fact that, in stages where nothing would normally have happened, I attack and gave a show during this Vuelta. For the fans and for me this was more important than the podium or of the final victory “. 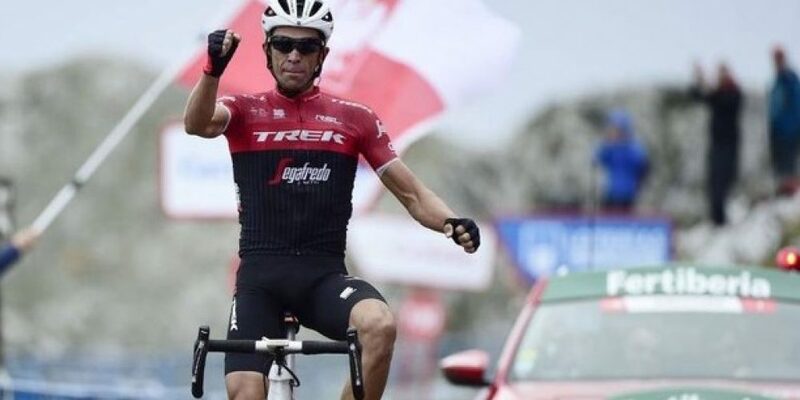 Alberto Contador say goodbye to the great cycling and obscures for one day the most spectacular man of this season, Chris Froome who place the double Tour-Vuelta, the same as Bernard Hinault. Contador end his career with a last tour as attacker, a finale that even in a movie we could not imagine. The Spaniard start bad in this Vuelta, loses 2 minutes right away at the first stages due to a physical disagreement. Then he reinvented himself and runs with his free head. Attacks, pushes heavily, and sometimes he risks so much that he falls victim of his own attacks and loses time. In the end, the podium escapes for a few seconds and Ilnur Zakarin takes it in his place, but very few will remember the Russians in this Vuelta. What will remain in memory are the sprints of Alberto, made for the show and people have rejoined him with applause till the end. A particular feeling between Contador and the public and even today on the arrival of Angliru the climber called the crowd at the incitement. It takes just a few details to understand the greatness of Alberto who has now decided to get off the saddle and say goodbye to races. The hope of his team is to see him next season, maybe only at the Giro d’Italia, where he would still be competitive. In the end his detachment from Froome was only 3′:11″. Froome’s doubles, Tour-Vuelta, instead deny those who argue that it is no longer possible to play two great high-speed tour in the same season. 15. Pardilla (Col) a 22’45”.